Some facts: You soaps are cleansers that are designed to get rid of the dirt, oil, grime by acting as surfactants. Soaps are alkaline based thus, they can dry your skin and are very harsh on the skin, yes even if you are a tough guy, these soaps can be too much for your facial skin. Soaps can be drying: Even if your skin is oily and you wish to get rid of all the oils and dirt soaps can very well do that for you just like the way it does for your body but it will strip the natural oils from facial skin thus you’ll be left with dry and taut feeling skin. Once the skin feels dry, the sebaceous glands will secret more oils to compensate the loss, therefore your skin becomes lot more oilier. 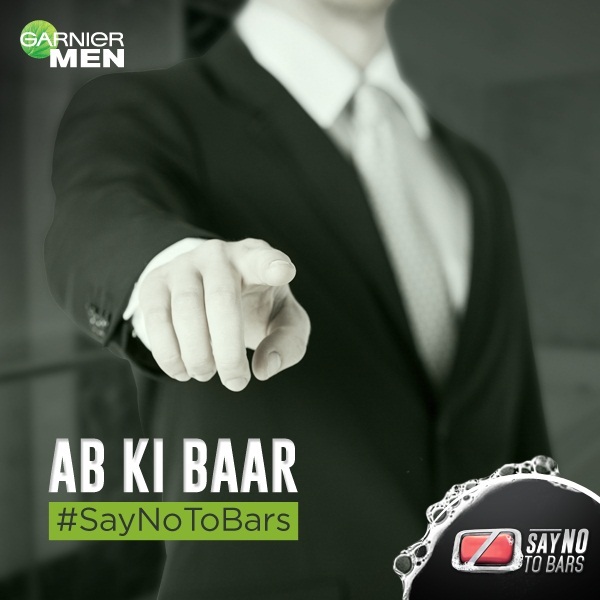 Hence it can be the most important reason to Say No To Bar Soaps. Now, if your skin happens to be dry then you should not even look at that soap. Leave it alone. It’s going to make your skin dry like desert. Skin Damage: Apart from that soaps can make your skin look lifeless, dull and wrinkled. Long time usage can have adverse effects on your skin casing skin damage. 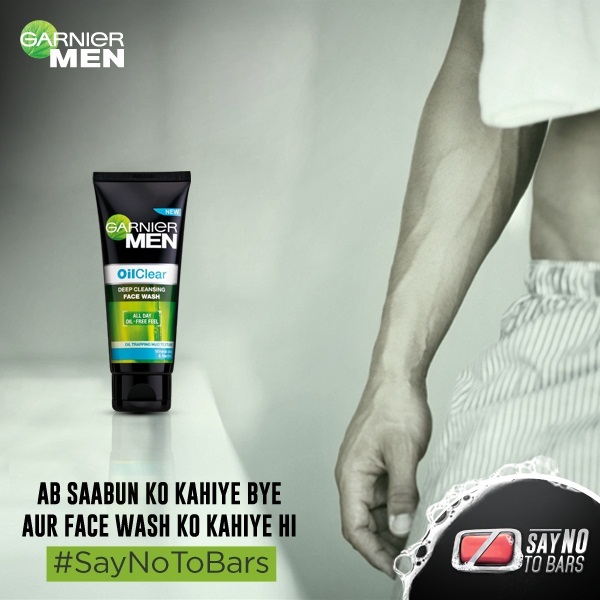 To prevent all this, Say goodbye to soaps for your face and say Hi to Garnier Oil Control Men face wash.
Garnier Men Oil Clear Facewash has ingredients of natural origin. It controls oil and gives radiant looking skin. The fresh adapted formula has proven it's efficiency on Indian men. Face wash doesn’t dry out the skin yet controls the oil. Suitable for the men’s tough skin. Keeps the skin supple and brings a radiant glow. So Guys, Next time you think of trying the bar soaps on your face, think again. It’s your face after all.